With plenty of moving services, Meathead Movers is fully prepared to move you comfortably into your new home. Our student-athlete San Fernando movers are dedicated to fulfilling all your moving needs efficiently. If you are moving to or from anywhere in San Fernando, look no further than Meathead Movers! Our professionally-trained student-athlete San Fernando movers and moving concierge service are here to help you with every stage of your move. From the moment you enter San Fernando, you will immediately feel at home. Stroll down the picturesque, palm-lined Brand Boulevard and explore all that downtown San Fernando has to offer. With its location at the base of the San Gabriel Foothills, you get amazing scenic views while still being close to Los Angeles. In addition to being a great place to live and work, there are plenty of exciting attractions and family-oriented events. 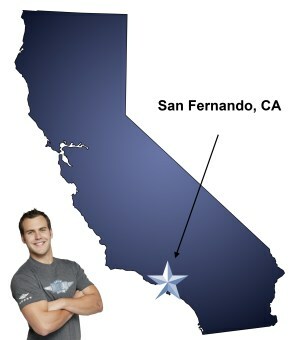 If you are considering a move to San Fernando, Meathead Movers is here to help. Our moving company specializes in local, long-distance, and commercial moves to, from, and within San Fernando. We also provide reliable packing, storage, on-site relocations, and our distinctive moving concierge service, which connects you with local service providers. All our student-athlete movers are thoroughly screened and trained before their first move. With branches not just in San Fernando, but all throughout California, we are your one-stop resource for all your moving needs, no matter where your California move takes you. In fact, you can see what your neighbors in San Fernando have to say about us. With our 100% satisfaction guarantee, the only thing you have to lose is the stress that comes from moving! Contact us today for a free no-obligation moving quote and to learn how we can help you on your next move! Moving to San Fernando? Here are some helpful resources. View more San Fernando resources. Did a great job. I did not like the gratuity part. Very stressfull moving & to be put on the spot was not nice. If I had been told ahead of time I would not have been caught off guard. Otherwise I was very pleased.